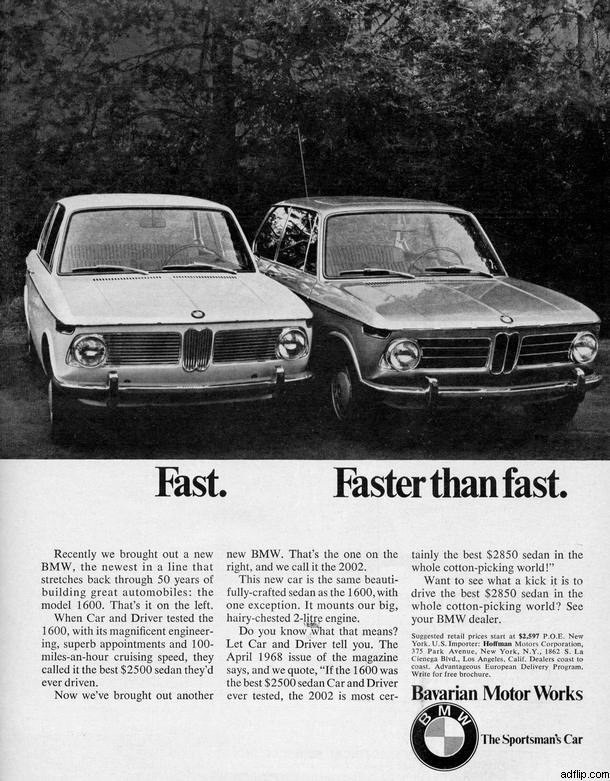 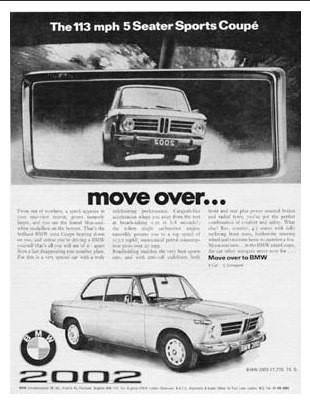 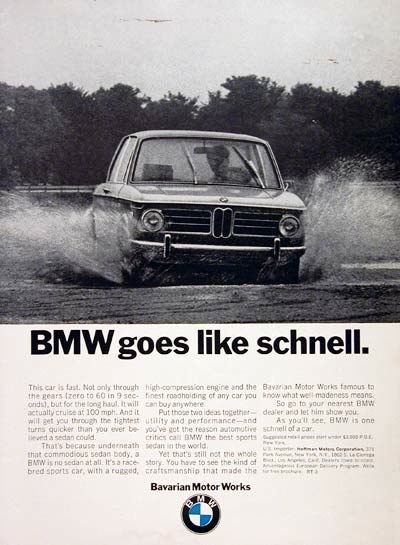 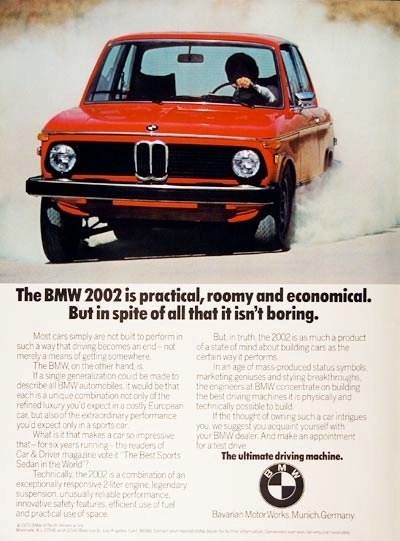 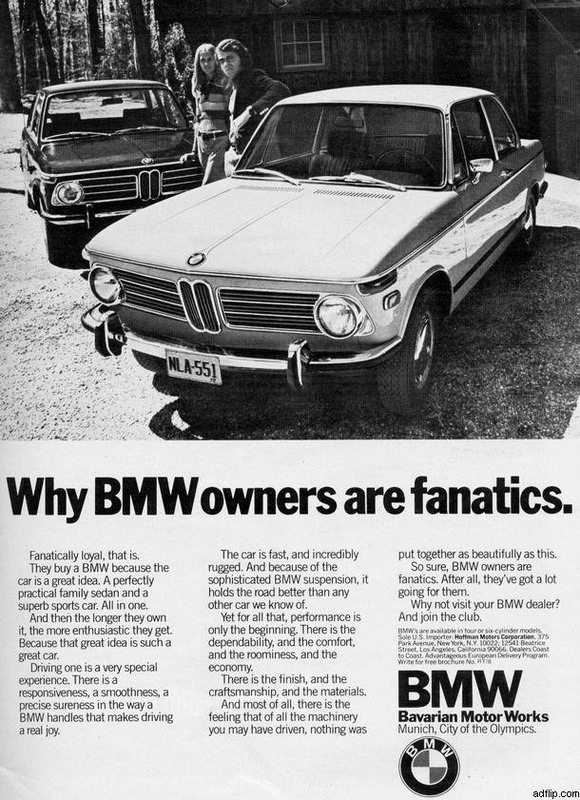 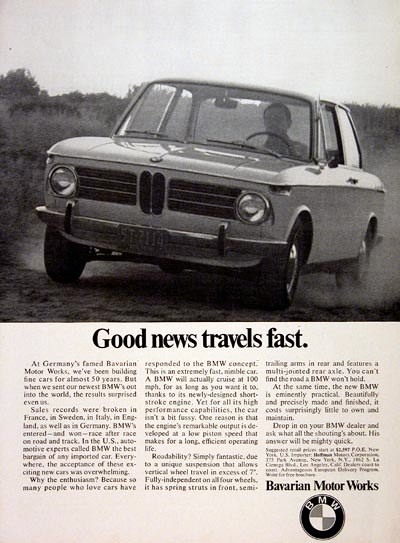 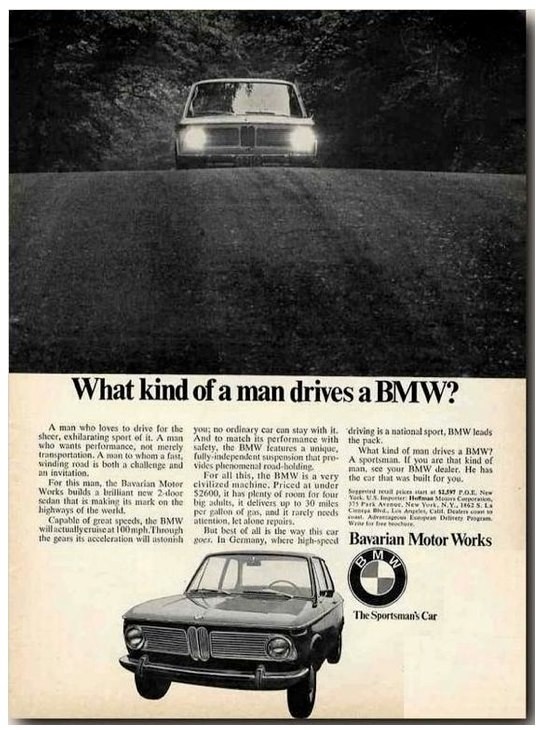 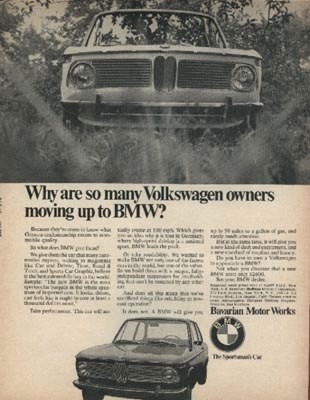 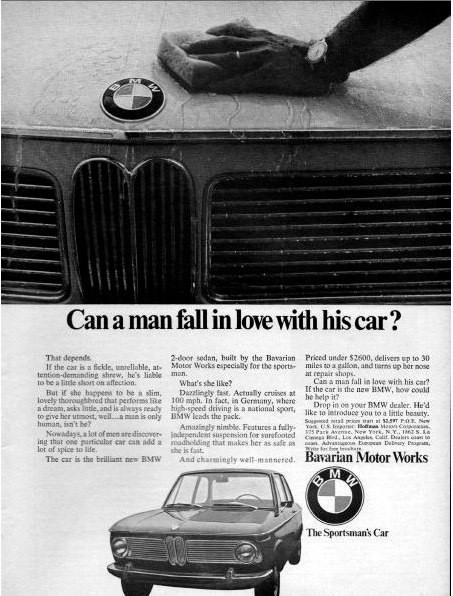 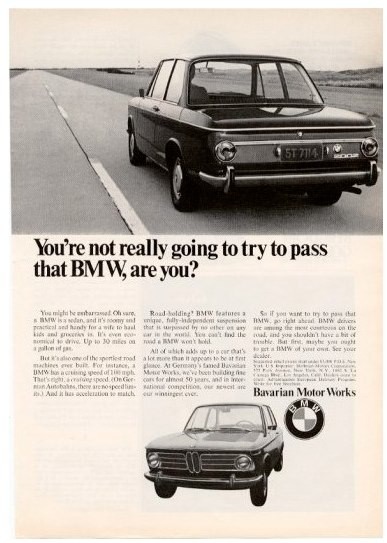 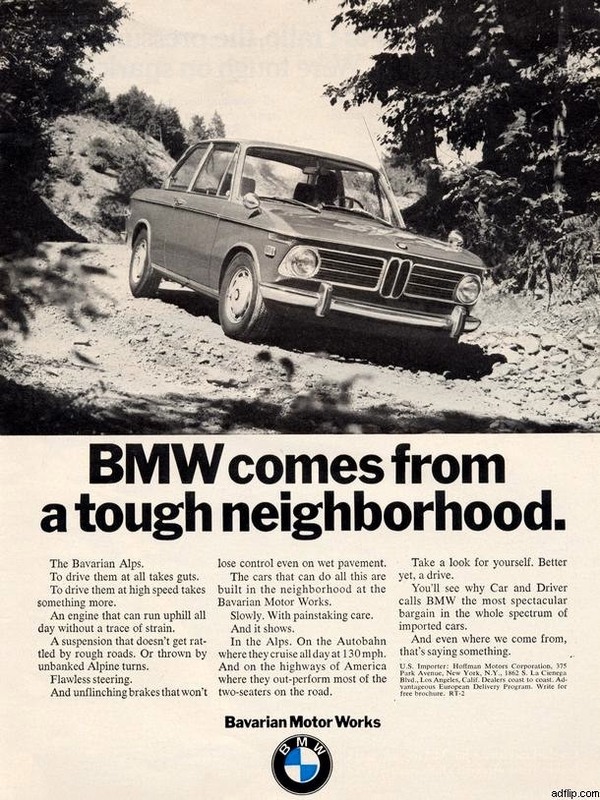 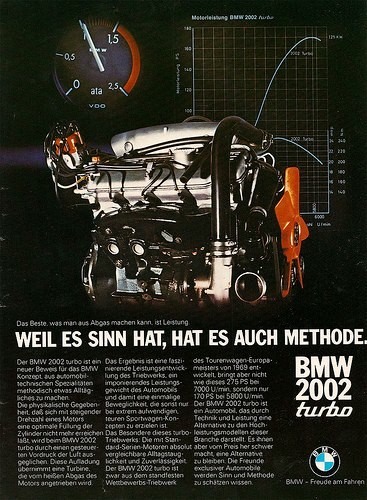 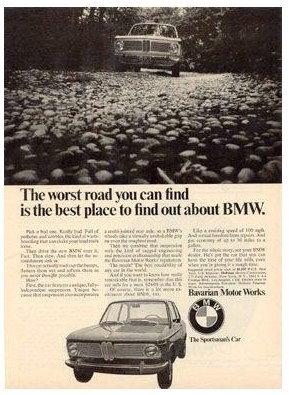 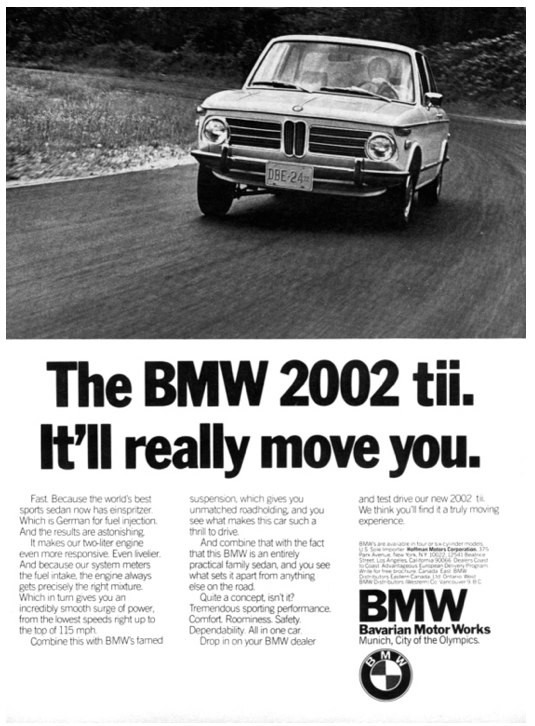 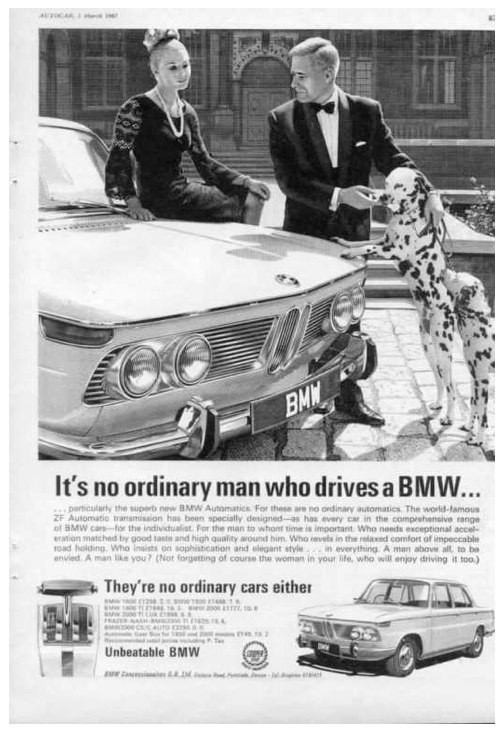 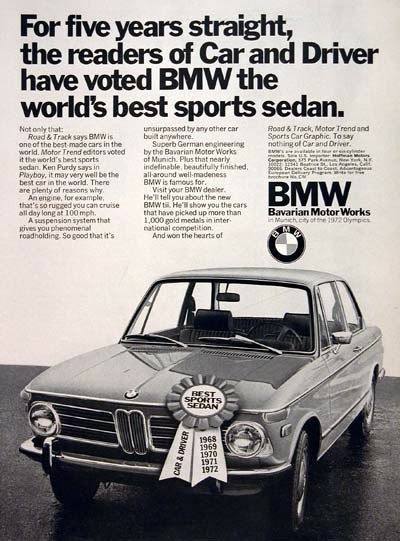 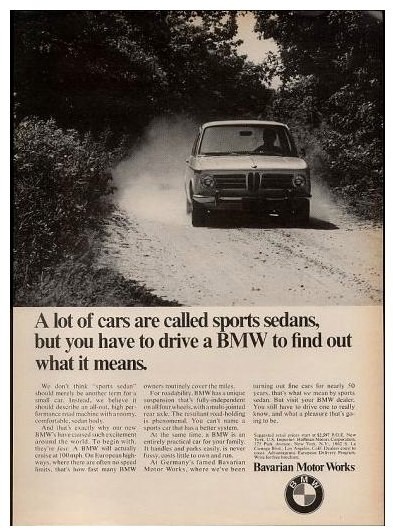 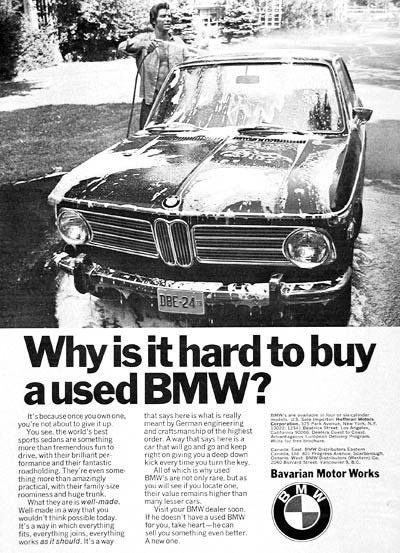 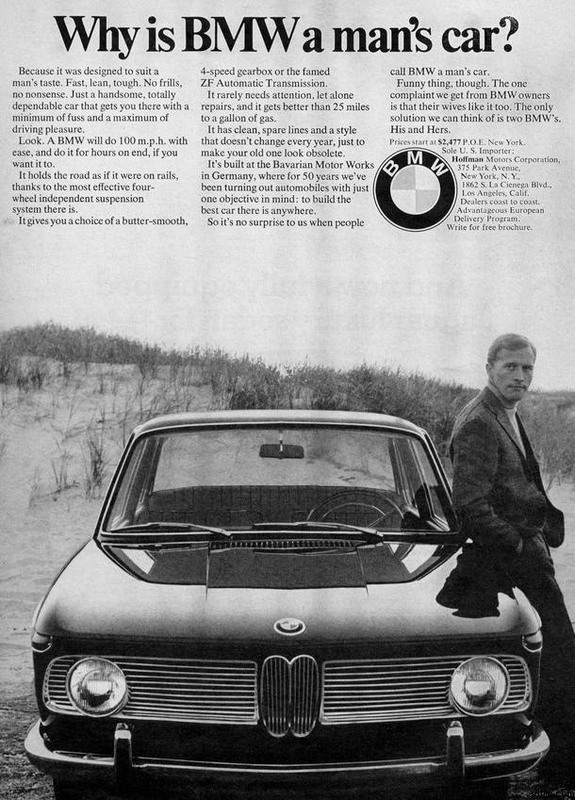 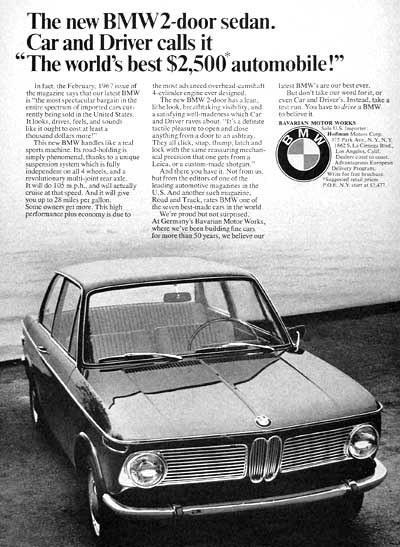 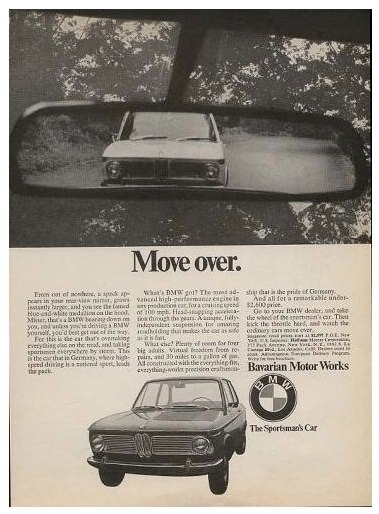 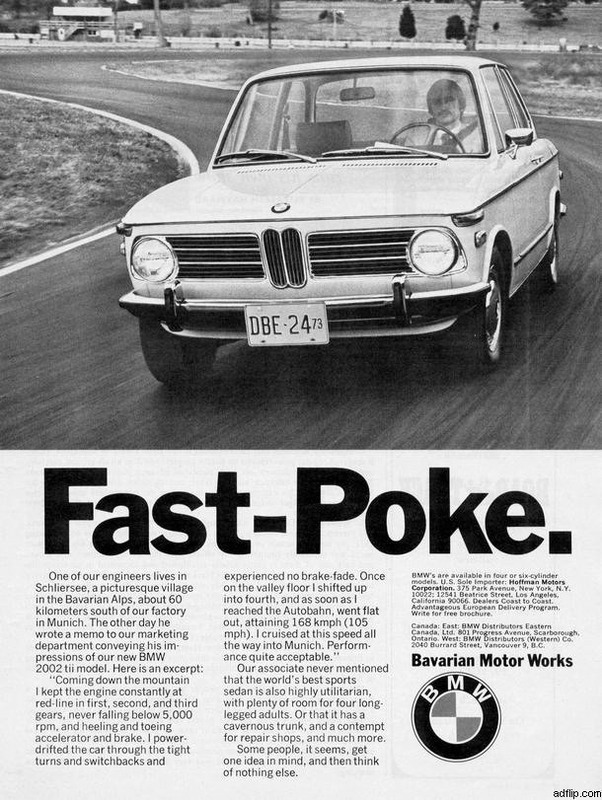 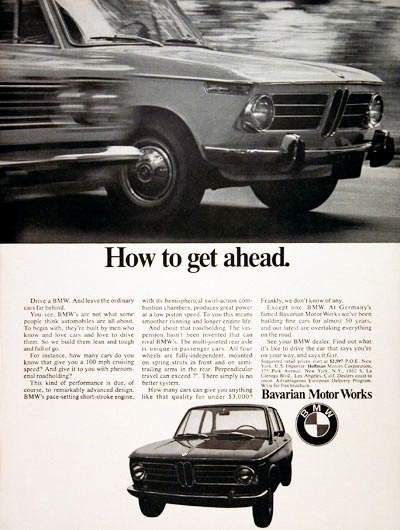 In the late 60's and early 70's BMW did a lot of advertising of the BMW 2002. 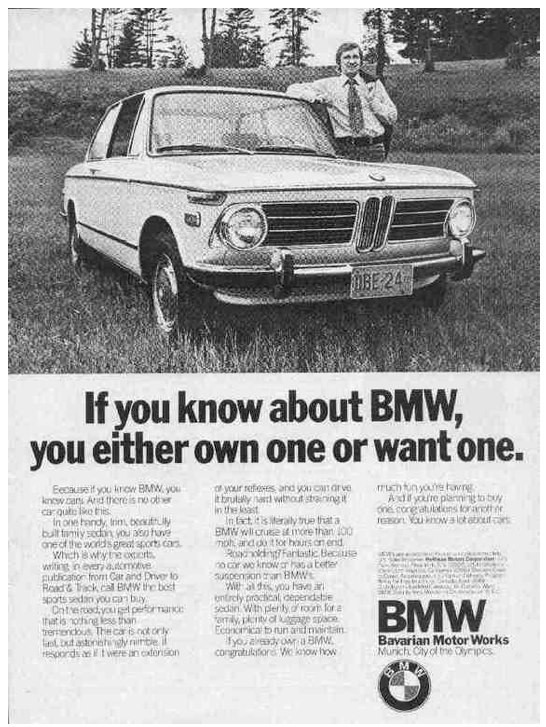 Its very cool to see these original print ads and how they marketed this little car. 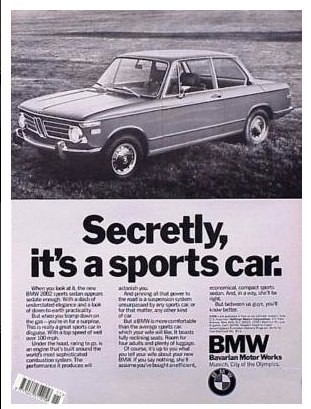 It was definitely aimed at the guy (or gal) who wanted a sports car, but the utility of driving 4 people and carrying luggage in the trunk. 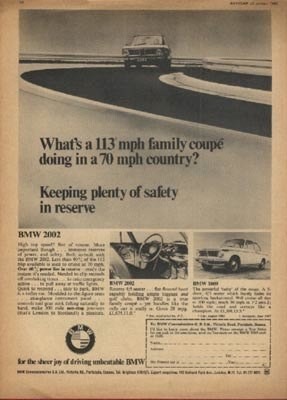 I love that it was advertised to go 100 MPH all day long. 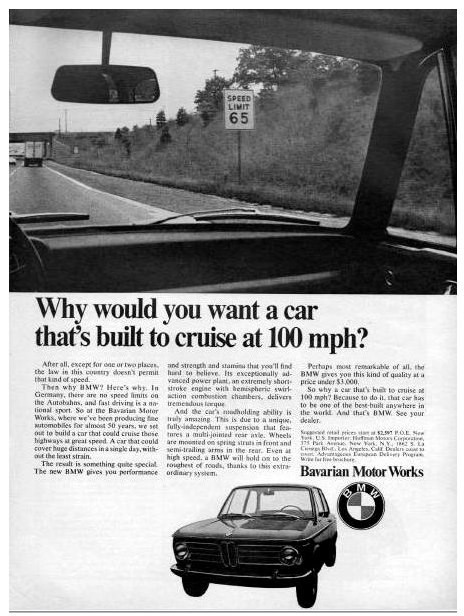 I wonder how many cars in the 80s or 90s or even today would be capable of 100 MPH all day trips. 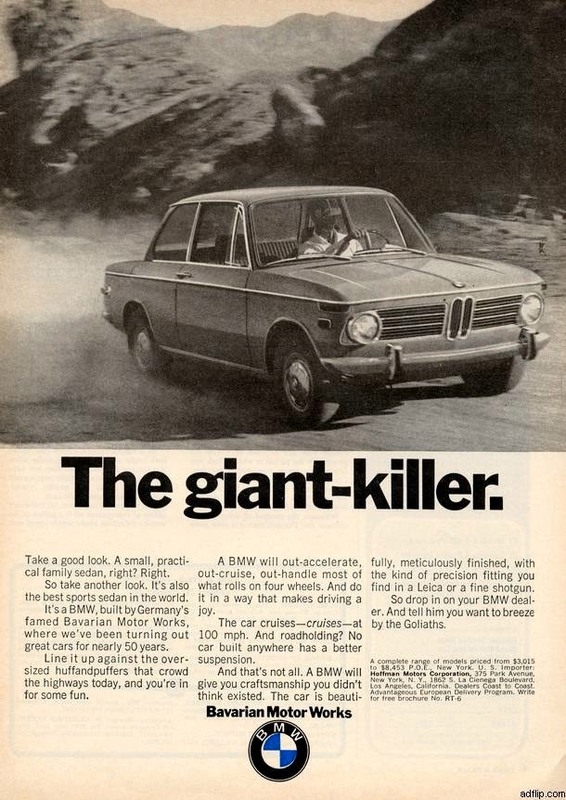 Well I can attest that this little beast goes like that...RELIABLY! 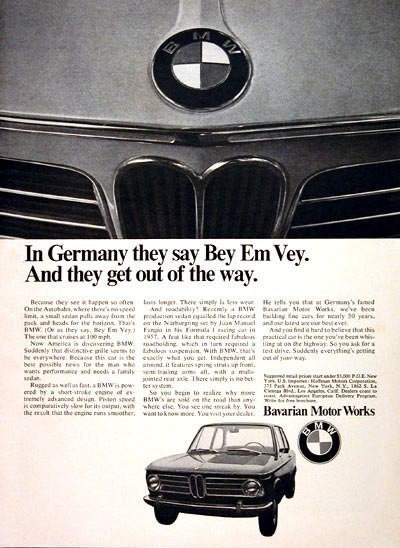 Enjoy these ads!